Oh my gosh, you guys, look who's back. 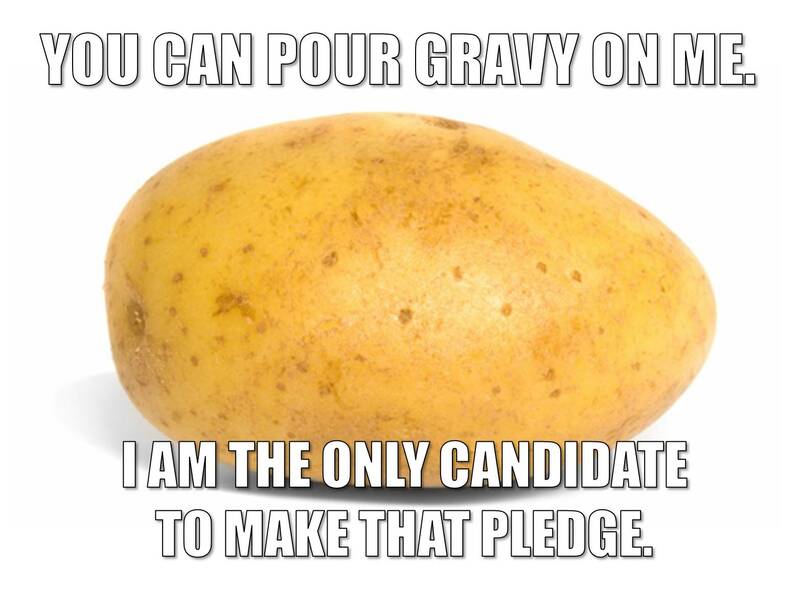 He's running for President of the United States on a platform of bigotry, xenophobia, and high-potassium starch. His positions are sometimes controversial, always delicious with gravy. And he really dislikes Donald Trump for some reason. 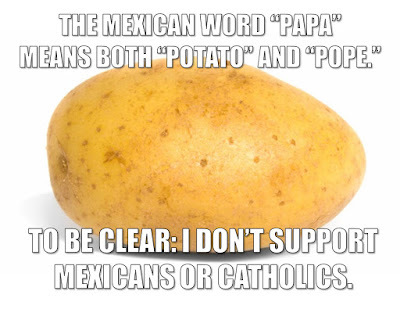 Without further ado, I bring you the latest words of wisdom from the would-be SPOTUS (Spud President of the United States)...Racist Potato. 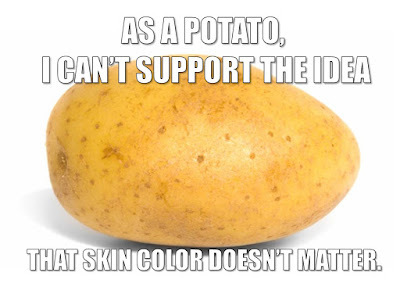 As a potato, he has a point. He's not about to suppress his true feelings, libtards. no official statement on the topic. Vote or, you know, else. My God, they're both potatoes! I'm convinced. And there you have it. 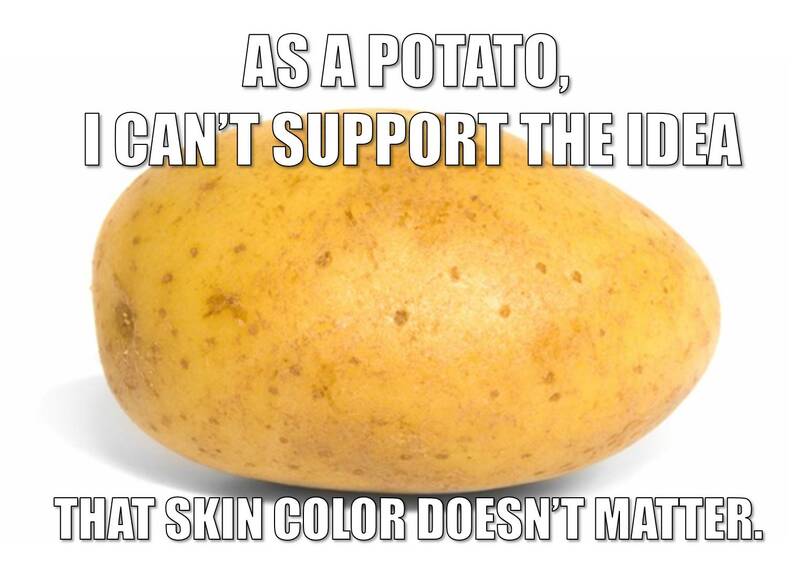 Racist Potato 2016. 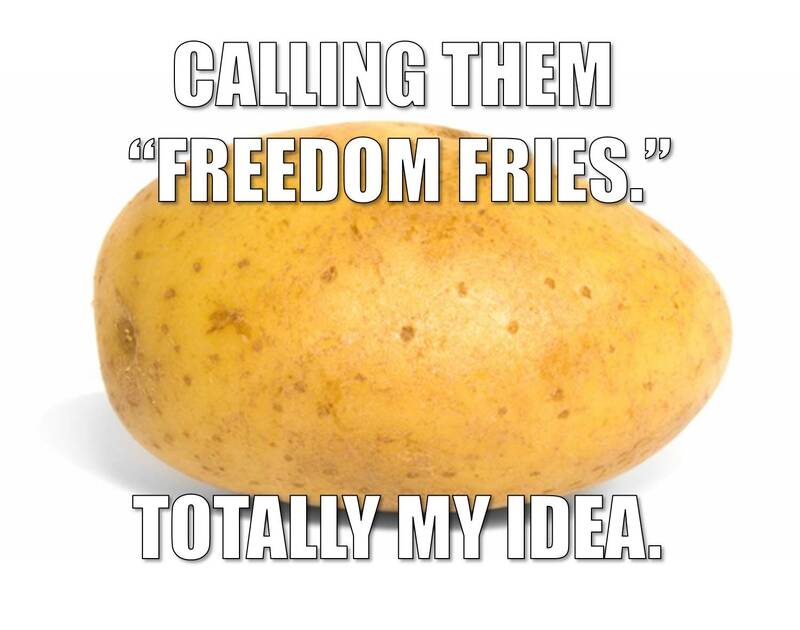 Carbs for America. Amen. 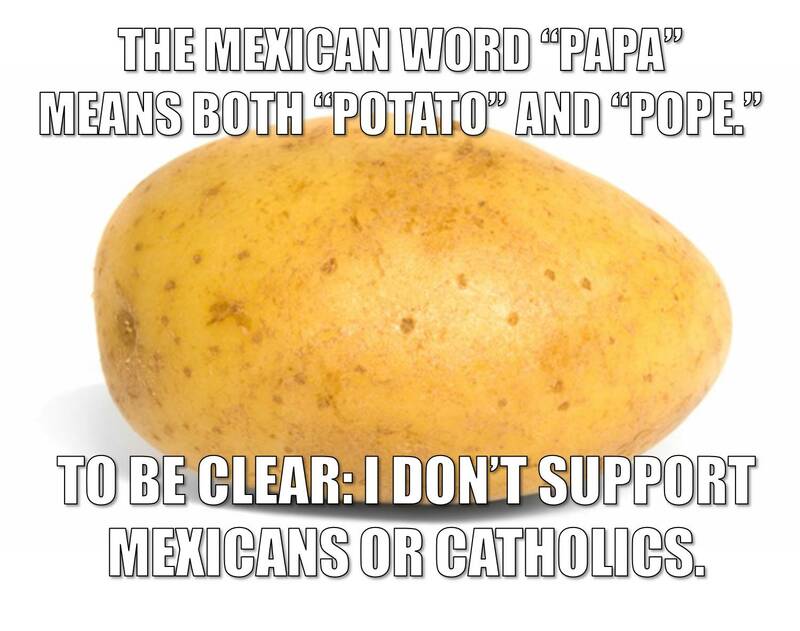 Almost every other potato out there is so concerned with being politically correct that it's really refreshing to see a potato with balls. Whatever. 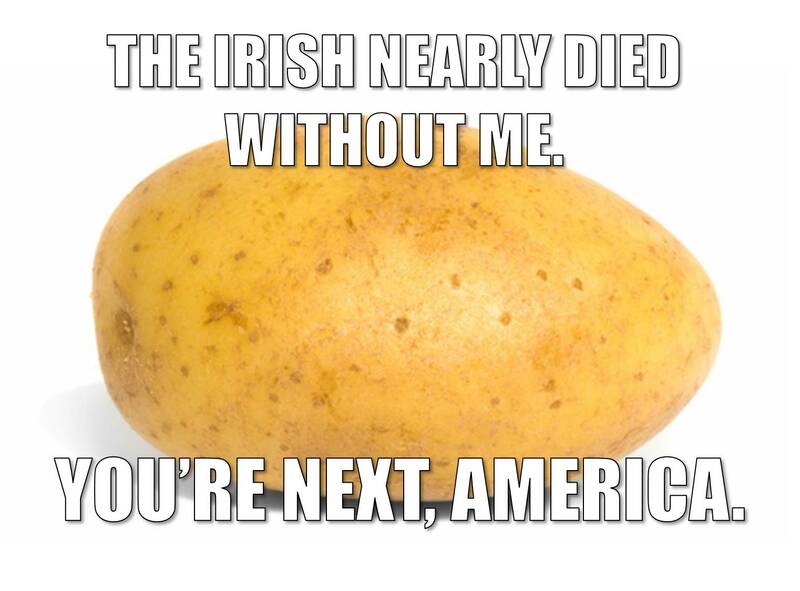 If Donald Trump were a potato, he'd be this potato. 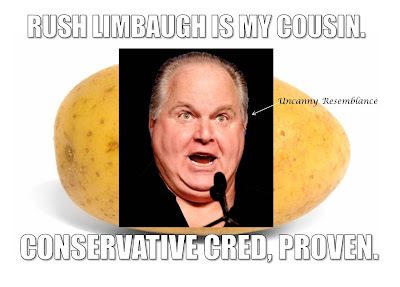 And if you put a squirrel on top of this potato, he still might be. One potato, two of potato, five potati. 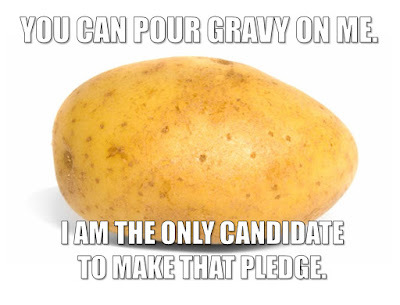 Bobby Jindal is totally a potato. Brown outside, white inside. 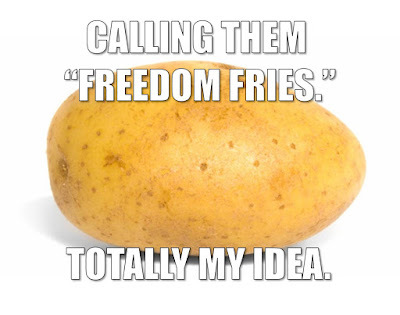 Slice him up and fry him! 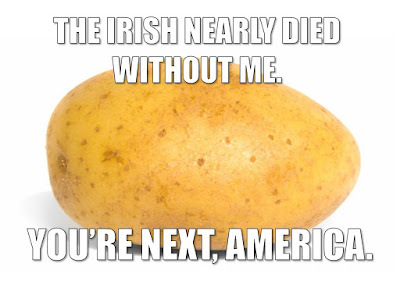 The Racist Potato dislikes Donald Trump coming onto his turf. On the bright side between the two of them the lesser of two evils is the one you can pour gravy on.